How to find a good auto repair shop. What makes an auto repair shop “good”? A good auto repair shop depends on what the viewpoint of the person taking their vehicle in. Some people see cost as a major determining factor, the lower the better. Others want a specialist for their vehicle type. Still, some think, hey, if an auto repair shop is near me and the reviews are mostly positive, I’m in. Those are reasons to choose a shop, but they don’t make it a good one. You want to make sure all of your needs are met, not just one of them. Qualifications of a good auto shop. Certified mechanics and technicians. This should be the first thing you ask about. Certifications are especially important for newer mechanics. Old-timers have a wealth of experience that you can’t get at school. 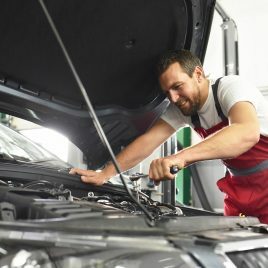 Newer mechanics benefit greatly from training, especially when it comes to newer vehicles with computer-controlled engines and anti-DIY features or “lifetime” features like air filters that the manufacturer claims never need changing. Look for ASE certifications. This training cover engines, transmissions, drive-trains, axles, suspension, steering, brakes, electrical systems and ECM’s, heating and AC, and performance enhancements. They also offer master certifications. Experience with your vehicle manufacturer. We know you don’t want to pay the inflated prices of a dealership. That makes finding a specialist that much more important. This is doubly so when it comes to performance vehicles. Sports cars are notorious for having difficult to diagnose issues and expensive parts. Auto repair shops that do specialize typically choose American-made or foreign-made automobiles. These also sub-divide by region. Some are European car repair specialists, others focus on Japanese-made vehicles. Choose your repair shop accordingly. Affordable pricing and guaranteed work. These go hand-in-hand. If your garage doesn’t back the work they do, an initially affordable repair can balloon if the part was faulty and needs immediate replacing. That’s what makes backyard mechanics such a luck-of-the-draw. Unregulated business operation leaves car owners with very little recourse if something doesn’t work out. We recommend comparing prices to other specialists and dealerships. Sometimes paying a little more for a garage you trust from the beginning can be worth it in the long-run. Time in business and experience. The older your car is the more this matters. Mechanics with experience working on the classics know the ins-and-outs of these vehicles. They’ve encountered every issue you can have with carbs, tuning, and non-ECM controlled engines. Time in business can indicate this experience. Even if the original owner has retired, many garages keep the business in the family. The current owner likely learned from their father or mother. That intuition can’t be taught in schools. It’s only earned through sweat, grease, and a lot of trial and error. What else should you look for in an auto shop? A great mechanic is one that answers your questions. You don’t just want to know what’s wrong. You want to know how it got that way. A great mechanic is happy to share their knowledge with you. That lets you make an informed choice about how to proceed, and more importantly, take steps to prevent the issue from returning. You have the option for OEM or aftermarket parts. Not all car parts are created equally. You want a garage to provide recommendations, but offer to use OEM or aftermarket parts. Aftermarket parts are fine for a lot of applications and can even be of better quality, but certain precision elements respond better to OEM parts. Your auto shop tells you what’s going right too. Chain shops like Grease Monkey have been outed for telling customers their air-filters are bad every time they go in. 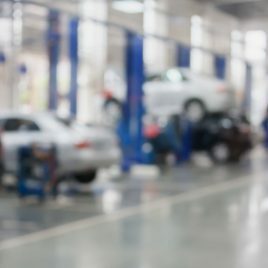 Sometimes work won’t even be performed because the emphasis is on the number of cars in the shop versus quality of work. A small auto repair shop in Portland doesn’t have to meet corporate demands. 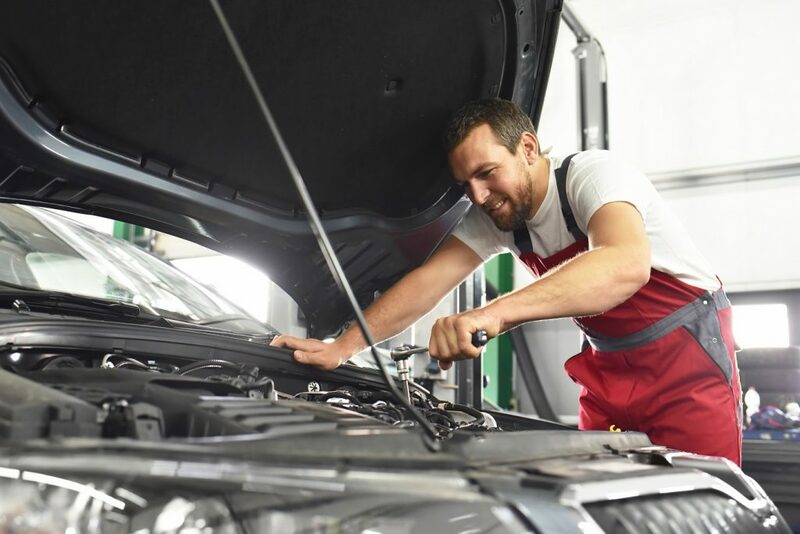 If they point out what is working well, what doesn’t need fixing, and when you may need those areas looked at, it can indicate an honest garage. Honesty and trust in this industry are so important, so trust your gut. If you know you had something done recently (Like an oil change, spark plug, or filter change) and your garage says they’re bad and need changing, question them more. The likelihood of these smaller fixes going bad soon after you get them without any other symptoms is unlikely.